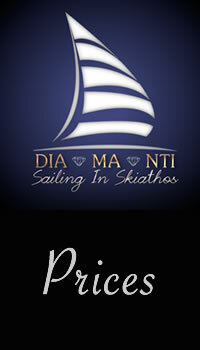 Οne day sailing ….. is a day you will never forget!! …let us make your holidays better!! 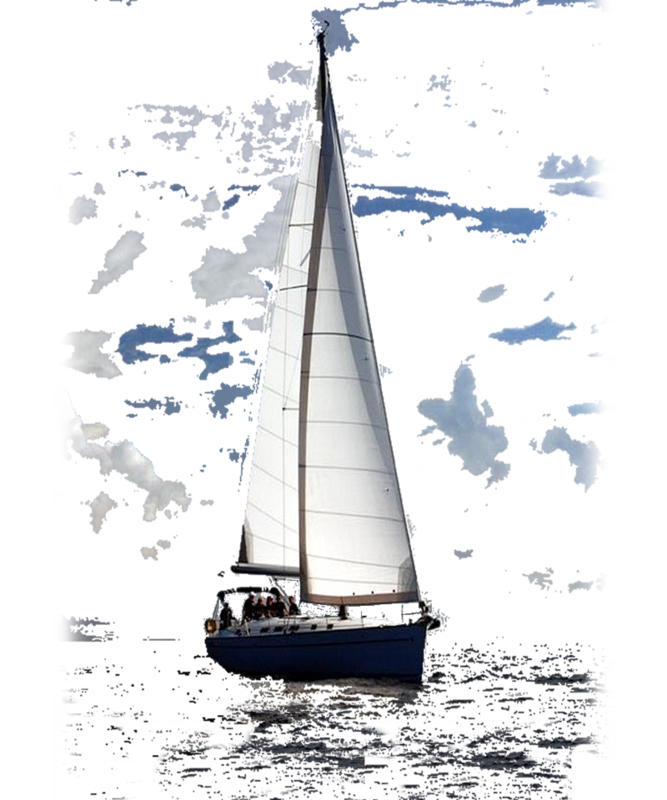 Don’t miss the unique opportunity to enjoy the Aegean sea as “a lazy sailor”. 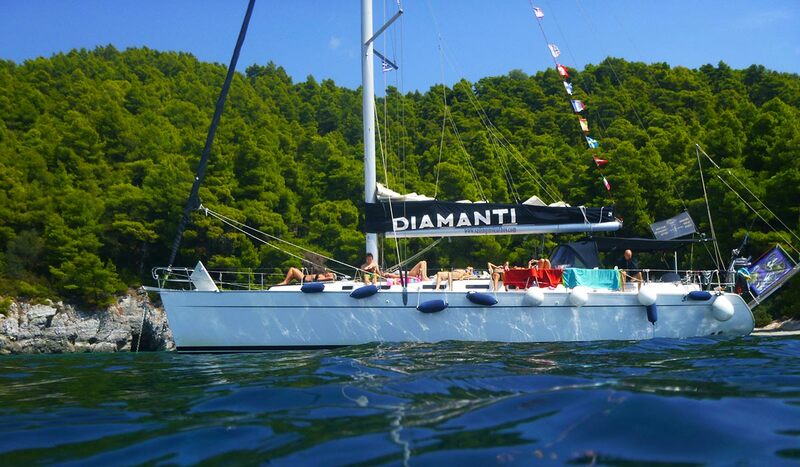 Enjoy the adventure and simultaneously relax on board the Diamanti sailing boat!!! 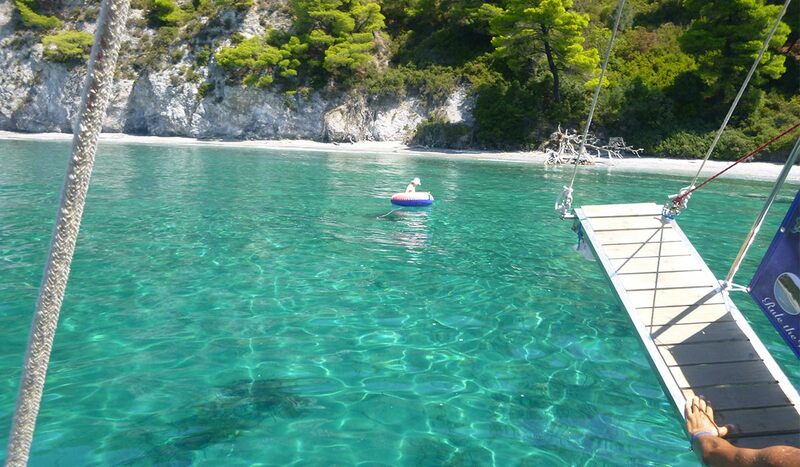 We depart from the new port of Skiathos at 10:00 am. Sailing to our first destination, the small island of Arkos. 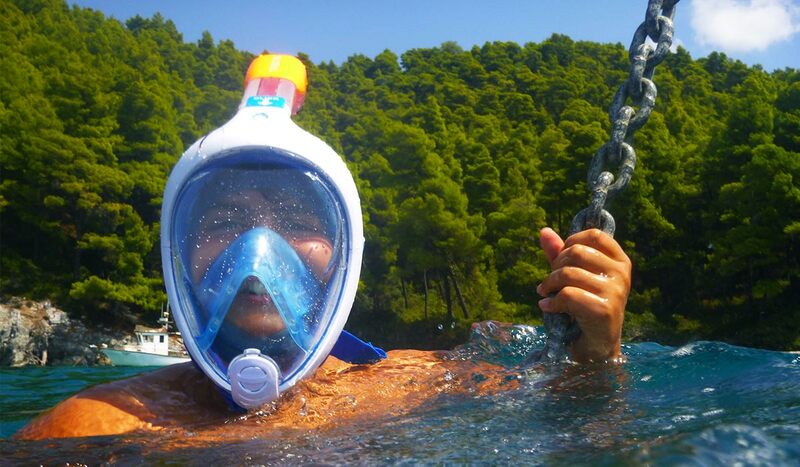 There we enjoy local snacks and refreshing juice… It’s time for our first-morning swim…unique beach, incredible dips, diving… simply magical!!! Leaving the island of Arkos we set sail and some of us are getting ready to have the unique experience of sailing, others are taught how to navigate and the others enjoy the fantastic tour sunbathing on the deck of the boat. Everyone on board admires the friendly dolphins which usually accompany our trip!!! 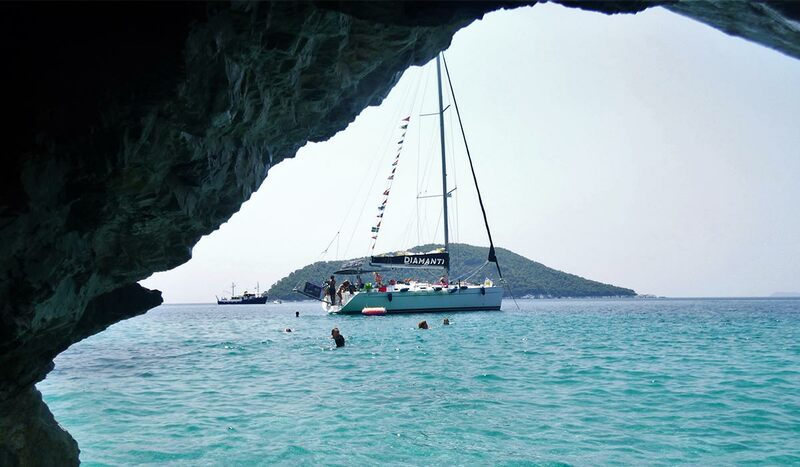 Up ahead, the Isle of Dasia comes into view with the blue cave which is appropriate for diving and swimming, an experience you’ve never had before. 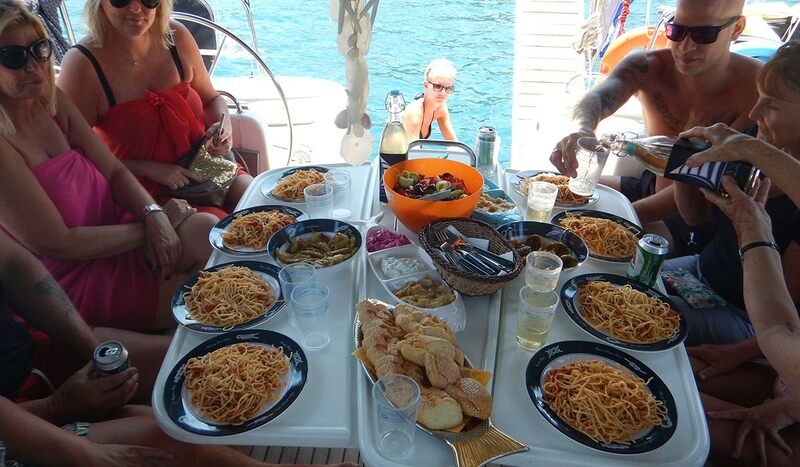 Now the captain of the boat is ready to offer you local snacks and ouzo “OUZO TIME….. ” Yiamas!!! 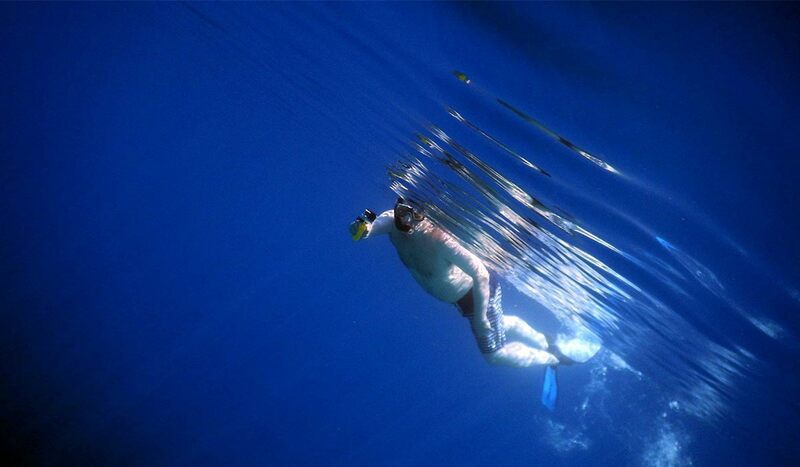 Being aware of the area as a local captain, he will take you to the quiet bay of Panormos. 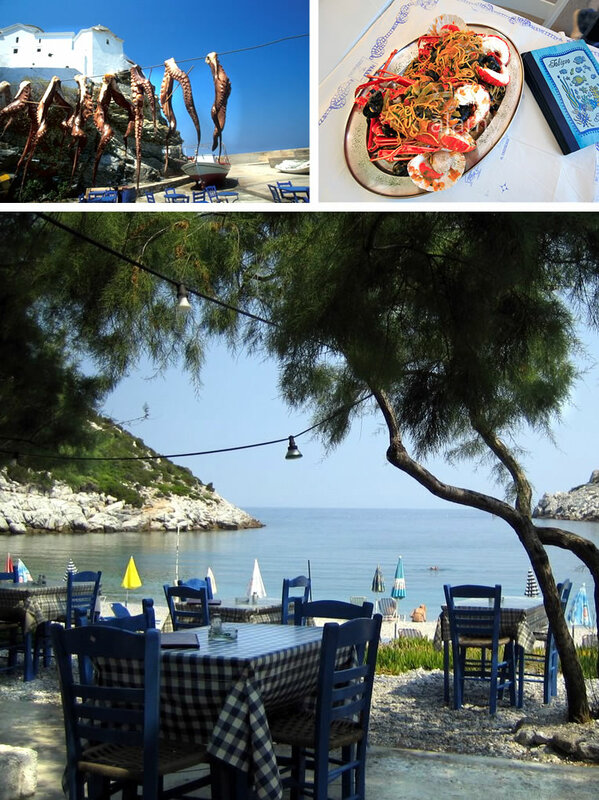 of fresh Greek Homemade food, always cooked by the captain with local olive oil. Our menu will satisfy even the most demanding. We offer plenty of wine and fruit as dessert. 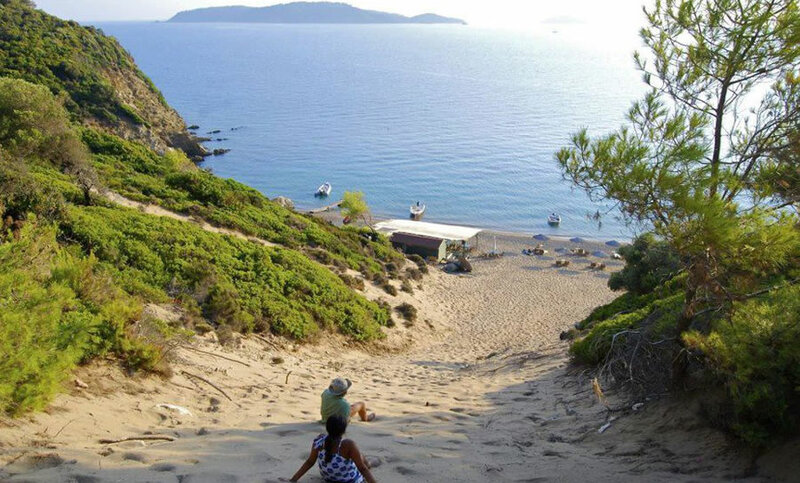 We set sail for the island of Tsougrias which you will never forget because of the spectacular beaches. Pleasant and unique moments in your hearts and mind will join you for the rest of your lives. 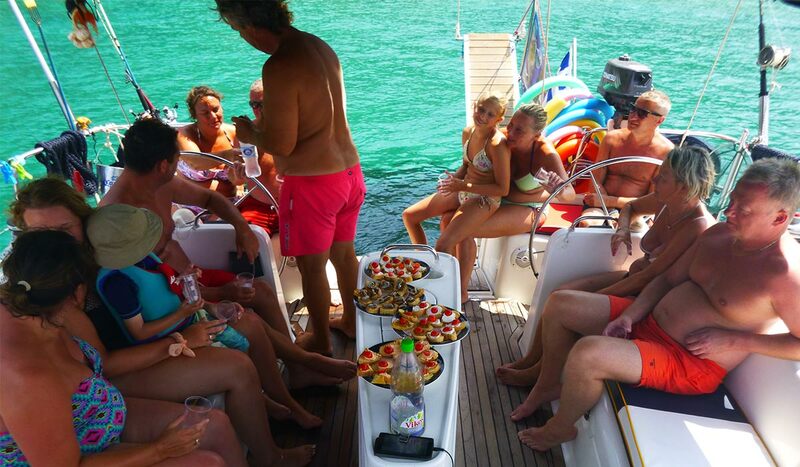 You can have your own private boat for a day , Just you ,your family , or your friends .You can also share a day sailing cruise with other people . All the gear for fishing ! !